Hi all, sorry for ghosting out on you there. This time in the semester is ridiculously crazy. So I'll be doing quick posts for a while now. 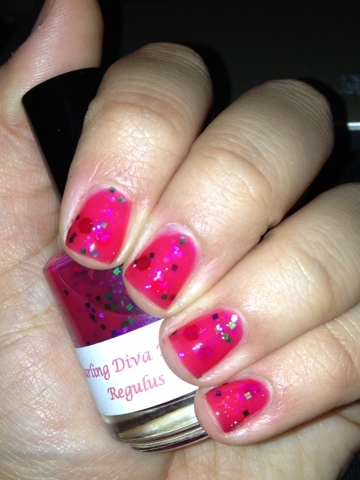 Today's is a DDP polish: Regulus. And short version: get it. Longer version: this is 2 coats of amazing. 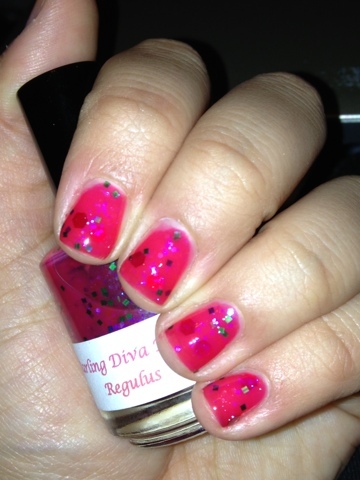 I love the base color and the iridescent blue glitter here, it's a really pretty combination. & the matte glitters really work in this too! It's not something I would have thought topic together, but I love it. 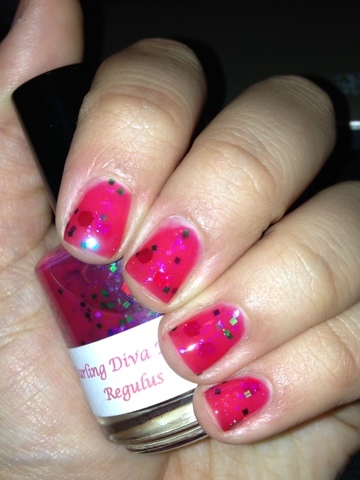 Twinsie Tuesday: 3D [Glasses] Mani!